Concrete Buffalo NY Experts is not your typical average Joe concrete paving company. Your home or business is a big part of your life and we understand that it’s important to you to keep it looking fresh and clean. We’re here to make that process as simple and efficient as possible for you. Our certified concrete professionals work on both residential and commercial projects. You need someone who can get the job done not only right and on schedule, but who is willing to go the extra mile so you are left in “awe” when you see the end product. We’ve worked on all sorts of projects big and small, chances are whatever you have in mind, we’ve done it. Our services include but are not limited to patio’s, stairs, driveways, pool decks, strong foundations , and of course walls. If you have any questions don’t be scared to giving us a call (We don’t bite). Call now for a FREE quote or if you need some advisement! As the top concrete contractor in Buffalo NY we deliver some of the highest quality jobs at the best prices. Concrete repair is a business that requires a lot of expertise so that you are left with something you can be proud of. Concrete work requires a certain vision for the end product so it’s created exactly how you envision it, after all we believe it’s all about YOUR experience. To us it’s very important to educate you on what exactly it is that we’re going to be doing as well as any health hazards that will arise. If you hire amateur Buffalo concrete contractors, they may not only sabotage your home or business but also come up with crazy excuses as to why they can’t do/fix something. Although we deliver both high quality Buffalo concrete contractors and high quality service our prices are very competitive. Even though we’re established and can maintain higher prices based off of the quality we deliver, we serve all who wish the best for their space. We don’t want to be a company that only the rich can afford, we want to appeal to individuals and companies from all backgrounds and races and give them high quality service. 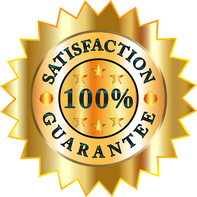 We committed to being the best concrete paving contractors in Buffalo and we plan to keep that commitment by providing you with extraordinary service so you feel guilty if you don’t show it off to all your family and friends. For cracks its usually pretty simple, we’ll pour a concrete mixture directly into it and then flatten it. This step is essential because if it’s not correctly flattened it may end up uneven or you may experience bumps and overall it won’t be as smooth as can be. After this we’ll give it a resurface so that everything is one color and looks aesthetically pleasing. We also have a few secrets up our sleeves to hide that your driveway has been worked on at all. Within a few hours you may walk on it, and within 24 hours it’ll be able to handle vehicles and will look brand new. The same procedures are applied when filling holes on a driveway or patio. Second we’ll send out one of our Buffalo concrete experts to take a look at your property. At this point we’ll talk in further depth about what exactly it is that you’re looking for. 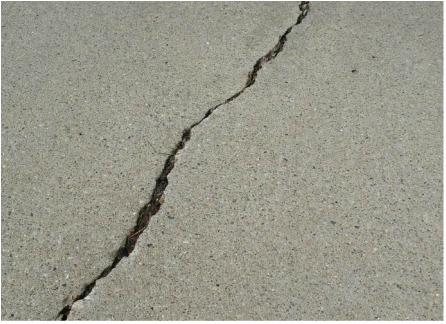 If you’re getting a concrete repair it’s very important to find out what is the major problem in the first place. It could be bad weather, plant roots, improper use or even maybe you have low quality concrete, that’s just to name a few off the top of our head. Thirdly we’ll advise you to what we think is going to be your best option from what we’ve seen and what you’ve told us. Together we’ll create an action plan for your property and once we’ve both agreed on what needs to be done you’ll get an exact quote on how much your project will cost. Lastly, once we’re in agreement with everything we’ll schedule a date for us to begin and if the project is big we’ll set a deadline as well so you know exactly when everything will be done for your home or business. ​Wood decks can be popular but concrete patios are seriously taking over. 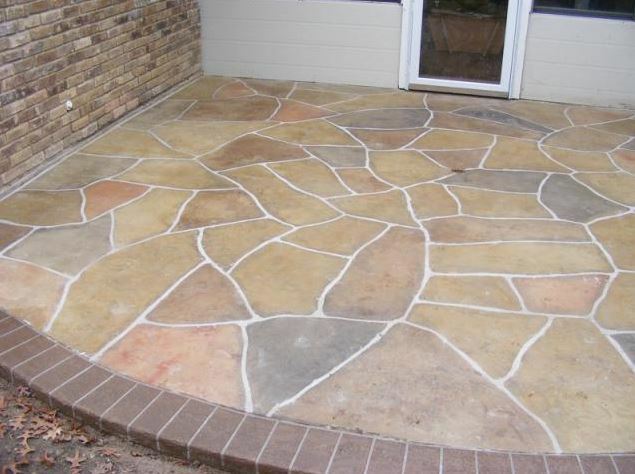 You can virtually do anything you want and setup a patio that matches your house with our wide range of colors It’ll compliment your landscape, as well as work around any restrictions you may have. Whether you are lounging outdoors or having friends over for a BBQ, the concrete patio wins in both design and efficiency. Best part about concrete patio’s is that they typically cost less than most patio’s and you can surely trust Concrete Buffalo NY Experts to create and execute exactly what you have been imagining. Upgrading your backyard to concrete will be a smart decision you are going to wish you made much earlier. It withstands all condition, even the crazy Buffalo, Russian-like, winters we all know and love. The concrete driveway is quickly replacing the old gravel driveway, and asphalt ones of the past. Many opt for an asphalt driveway because it is cheaper and dries faster, but really wish they would of invested in a concrete driveway. Asphalt requires a lot of costly repair work and is very weak in comparison with concrete. When you are shopping for a new driveway or a restored driveway, you will want one that is going to last and serve you for years to come. You have most likely noticed the remarkable difference in driving on an asphalt roadway and a concrete roadway. The concrete roadway is like a bit of paradise with smooth sailing compared to the asphalt roadway, which doesn’t fare well in harsh weather conditions. In the summer we all know that asphalt gets soft and in winter it gets “pot holes” from snow and ice. 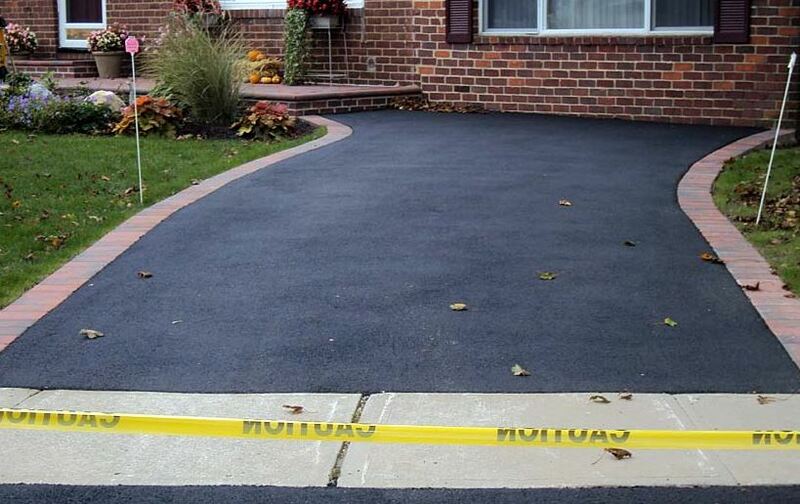 Bumps, uneven ridges, and all kinds of miseries come with an asphalt driveway. Concrete is an “All Season” driveway and the best investment when it comes to choosing the material for your driveway. And to take it a step further, if that is possible with all of its durability virtues, it also has artistic decor value. The shades and hues in concrete coloring will definitely be a super bonus when it comes to the overall appearance in coordination with your home. 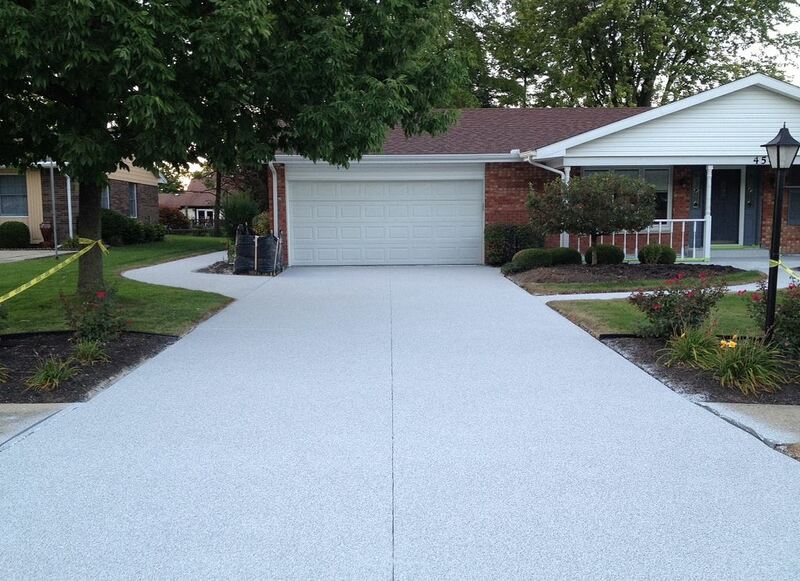 In a nutshell the concrete driveway looks great, performs great, has a long life, and is the best overall value. 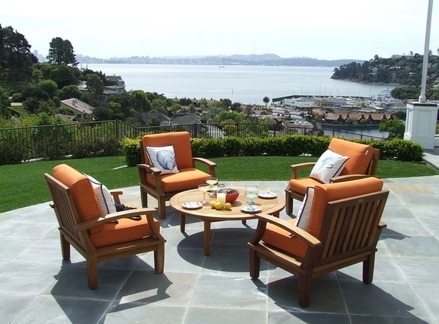 Concrete repair Buffalo can be done to any surface or item made of concrete. The concrete repair work by Concrete Buffalo NY is immaculate and done by highly qualified experts in this field. It is as if the whole area being repaired is brand new. Virtually it is to a certain degree because after the crack or damaged surface is repaired, the entire surface is blended or resurfaced so there is no marring or uneven shades in the mending process. Well done repair work is absolutely amazing because you won’t be able to tell that it has ever been worked on. It will have the appearance of a new walkway, driveway, floor, deck, or whatever it is that was repaired. Concrete walls are especially marvelous after this procedure is completed. Concrete repair is highly recommended under the skillful workmanship provided as a favorable option to a complete replacement when the basic surface is sound. You will get the same favorable results without having to go through a major construction job. Why replace it when you can repair it or restore it? Be really selective when contracting for repair work or restoration work on your concrete because not all companies excel in this field. Concrete repair is an art form which requires expertise to obtain the finished results that expert restoration and repair work deserves. It is almost like repairing or restoring a fine painting, not just anyone who walks in from the street can do it, it takes an expert to do proper concrete repair. Should I get asphalt or concrete for my driveway? Great question! We get this a lot and the answer is always… it depends. There’s multiple variables you have to consider when choosing between the two. While it’s true that asphalt is cheaper and you can drive on it almost immediately, concrete does last roughly 10 years longer and there’s usually less maintenance to be done on it over the years. With concrete you have to wait about 7 days before you are able to drive on it. This could be a roadblock for certain businesses. If you have any questions give us a call and we’ll give you a personalized answer and tailor it to your situation.